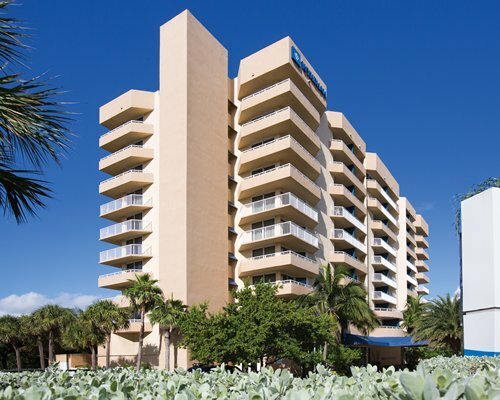 Vacation Village at Weston is located approximately half a kilometre from Markham Park and 29 kms from the centre of Fort Lauderdale. At the resort, you can relax by the waterfall, take a swim in the outdoor pool and soak in the hot tub. Work out in the fitness centre or enjoy a spa treatment. Play a game of tennis or go horseback riding nearby. The resort has a wide range of activities for the whole family to enjoy, including poolside bingo, Latin dance and a movie night. Lovely, fully furnished accommodations welcome you with stylish decoration whether you are planning a romantic getaway or an exciting family vacation. Relax in spacious, air-conditioned comfort with one-bedroom units that sleep up to four guests and two-bedroom units that sleep up to eight. All accommodations come with kitchen facilities that include a microwave, and for added comfort and convenience, some units also feature full kitchens as well as dishwashers. Ft. Lauderdale Airport is 20 miles away. Take I-595 West approximately 15 miles to 136th Ave.(Exit 1A). Continue straight to SR 84 through the Weston Road intersection 3 miles. Continue on SR 84 about 1/4 miles to Bonaventure Blvd. turn Left. You will travel under an overpass and go straight through the first light. At the second light you will be at the corner of Bonaventure Blvd. and Racquet Club Rd. Take a right onto Racquet Club Rd. and an immediate right onto property of Vacation Village at Weston. FROM WEST COAST: EXIT off of I-75 at Exit # 22 Glades Parkway. Continue straight on SR 84 approx. 3 miles. For golf and tennis lovers, Weston is the place to be. 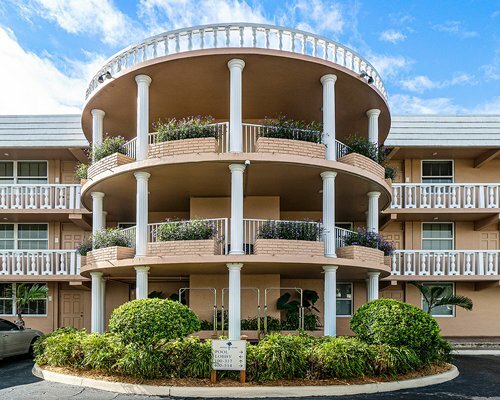 Vacation Village at Weston Resort is close to both the tennis center and Bonaventure Country Club with two separate golf courses. Tour the Everglades National Park or take a stroll through the formal gardens and fountains of Vizcaya Museum & Gardens. Don't miss the Dania Beach antique district or the Hollywood Boardwalk. Have dinner at one of the fabulous restaurants in Miami and dance the night away at one of the many clubs on South Beach. Please be advised that you, or anyone in your party, can only stay a combined total of 2 weeks (or utilize 2 units) per 12 month period within the following group of resorts: Vacation Village At Weston (#5773), Vacation Village at Bonaventure (#4025), Mizner Place (#7559). This rule is strictly enforced and violations will be cancelled, no exceptions. "Housekeeping fee for all RCI points reservations: There may be a fee of 45.00 U.S. dollars for 1 Bedroom units, per stay. Cash or Credit is accepted." "Housekeeping fee for all RCI points reservations: There may be a fee of 90.00 U.S. dollars for 2 Bedroom units, per stay. Cash or Credit is accepted." Guest may receive 2 complimentary packages for each reservation. Packages exceeding the complimentary will pay $5 per package. Recipient must be registered guest w/photo ID & packkage tracking# to pick up. Packages only accepted within 3 days of check-in & will be returned 5 days after delivery. No oversized packages over 25 pounds may be shipped to or will be accepted by resort. Non-RCI Members or guests of non-RCI members,you or anyone in your party can only stay a combined total of 2 weeks (or utilize 2 units) per 12 month period within the following group of resorts: Vacation Village At Weston (#5773), Vacation Village at Bonaventure (#4025), Mizner Place (#7559). Violations will be cancelled, no exceptions. Owners at Vacation Village Resorts are required to have Maintenance Fees current before they will be allowed to check in to Resorts 4025, 4940, 5773, 6057, 6389, 6923 and 7559. 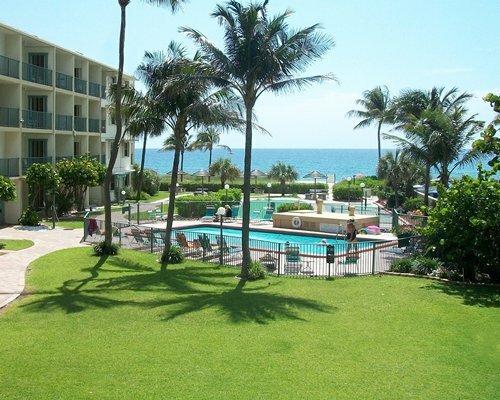 To make your payment visit www.Dailymanagementresorts.com or pay by phone at 1-866-767-0752. Owners with questions may visit www.Dailymanagementresorts.com and select the Home Resort for email address and phone number. 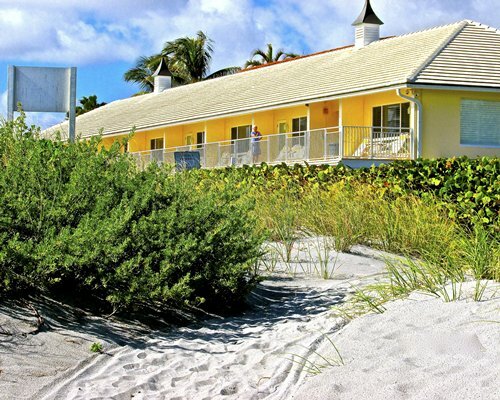 $25.00 Required Fee for Wi-Fi, room safes, limited transportation, access to Resort activities & amenities. Mid-week service on the 4th day of trash removal, linen exchange, light tidy. Daily housekeeping available on request at add'll charge. Full cleaning is offered for guests staying more than 7 days including collected trash, linens, bedding exchanged, dishes washed & floors swept, mopped.